TCC's Jennifer Caywood talks about her recent trip. 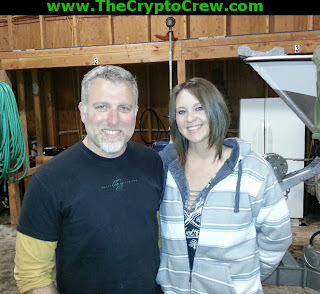 The Crypto Crew's Jennifer Caywood talks about her recent expedition trip with Derek Randles of the Olympic Project/Ridge Walkers Unlimited. This event took place over 3 days and some 17.5 inch tracks were found. The Tracks were found by Tom Baker, there were several track but only one was good enough to cast. It sounds like she had a fantastic time. Maybe they knocked some sense into her love affair with Dyer/Allen.